BRITA was founded in Tabor, Czechoslovakia in 1935. They produced spark plugs with mica and other ceramic insulation. In 1940 a Berlin company OHM Keramische Werke, took control and the production of equipment was directed by war needs. In 1953 JISKRA was founded as an independent national enterprise with a focus on the production of car spark plugs and a new ceramic substance was discovered. JISKRA was state owned until 1992 when Brisk was founded as its successor. In the 1990’s, Brisk expanded its production to include a new generation of multi-spark plugs, ignition electrodes and ionisation probes for gas-powered appliances. They have also expanded worldwide and in 2000 opened a manufacturing plant in Kaliningrad region, Russia. 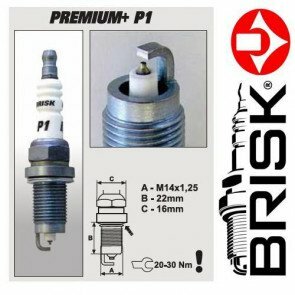 In 2001, Brisk supplied spark plugs for a variety of uses such as the basic production of Lamborghini Morori Marina, small agricultural machinery, basic production of AVTOVAZ a.s. and GAZ a.s. 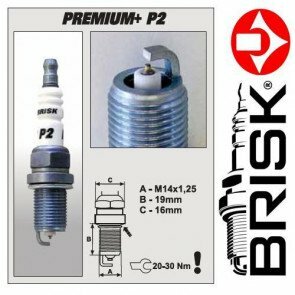 In 2002 Brisk began production of the second-generation Brisk Premium LGS spark plugs. The spark plug product range was expanded in 2004 with Brisk Iridium Premium Racing spark plugs. They also supplied spark plugs to OEM Renault-Dacia, GM and Seat from 2004 and sensors to Volvo Powertrain. From 2005 they started delivering spark plugs to America. In 2006 new product lines were established for spark plugs Brisk A-line and spark plugs Exclusive. ABS sensors for the new car Skoda Roomster began to be delivered in 2006. Brisk are now the world’s 6th largest spark plug manufacturer of more than 50 million spark plugs per year. 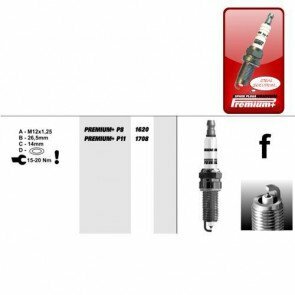 They produce spark plugs mainly for combustion engines designed for various agricultural and forestry tools and machines. 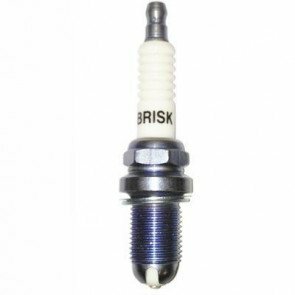 They produce a wide variety of spark plugs including iridium and silver racing spark plugs. .
Brisk and The Green Spark Plug Company. The Green Spark Plug Company stock Brisk spark plugs. You can buy Brisk spark plugs through our website or we are available for telephone enquiries and orders. 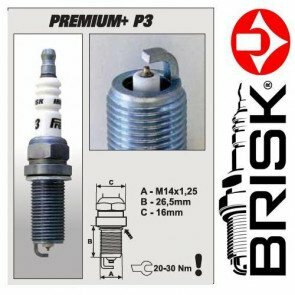 - we stock the entire range of Brisk Iridium Premium + spark plugs. These plugs use a combination of a centre electrode with iridium contact and ground electrode from yttrium alloy with copper core cut to spark plug centre which decreases the demand for voltage and significantly suppresses flame extinguishing effect at cold starts. This means that the change interval of 100,000km is maintained. The platinum and iridium are wear resistant but high voltage is required by the ignition system. Therefore, the iridium center electrode and Yttrium ground electrodes maintains lifetime and spark plug performance improvements. 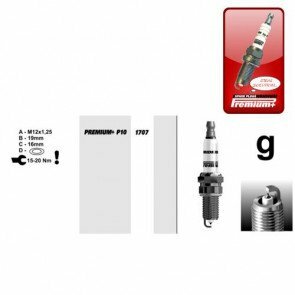 - We also stock popular Brisk LPG gas spark plugs such as the Brisk Silver Spark Plug Autogas LPG CNG.